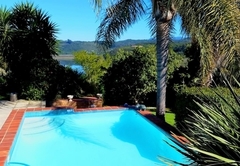 Palm Lodge is a highly recommended property providing self catering in Knysna for up to 2 guests visiting the Garden Route region. 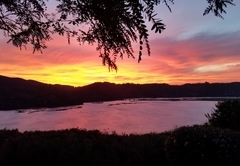 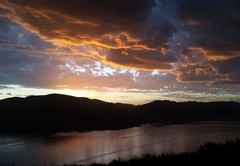 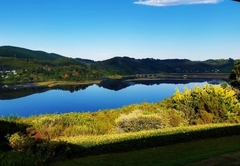 Palm Lodge is situated on a hill overlooking the Knysna Lagoon but only three minutes from Knysna town, makes popping into the village for lunch or dinner an easy option. 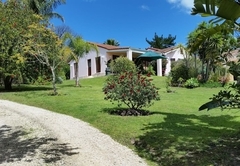 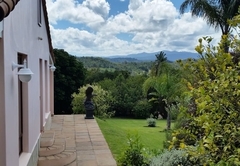 Situated on a secluded property this fully equipped self-catering flatlet caters for two persons only on 8500m of land offering peace and tranquility in a stunning garden setting with the use of the sparkling blue pool. 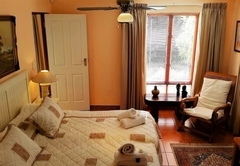 The flatlet sleeps two guests only and has a separate bedroom which is furnished with an extra-length bed as well as electric blankets for chilly winter evenings and an oil heater. 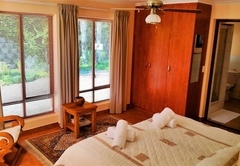 The bedroom has an en-suite bathroom which has a shower and toilet. 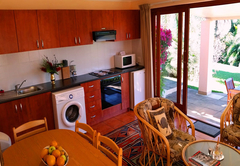 The kitchen is superbly equipped with a washing machine, microwave, toaster, stove, oven, slow cooker, refrigerator and coffee machine. 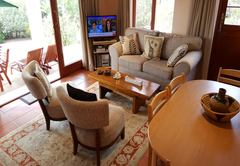 There is also a lounge area and a patio which is equipped with patio furniture including sun loungers and braai / barbeque facilities. 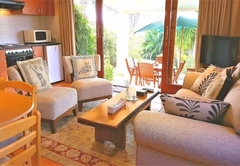 Other facilities include free Wi-Fi and full DStv, a radio / CD and DVD player and a hair dryer. 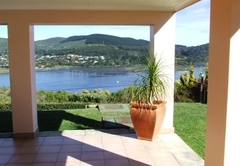 A safe deposit box is available for valuables. 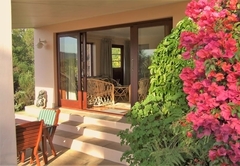 The flatlet has a private entrance and parking. 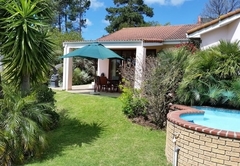 A short drive to beaches and forests for a picnic, swim, golf, cycle or hike offers an opportunity for fun and adventure. 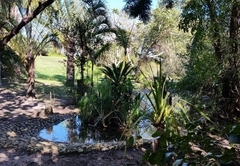 Or relax in the lovely garden with a book or watch the ferule rabbits and guinea fowl. 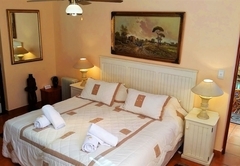 Either way you will return to the ‘real life’ relaxed, revitalised and refreshed. 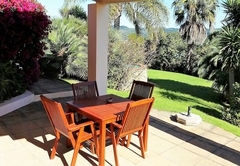 Very reasonable rates makes this the ideal spot for a relaxing break for two.